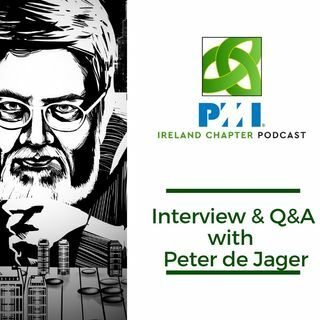 Welcome to the Ireland Chapter of the PMI Podcast. Episode 8. This month's podcast is the Audio from the Facebook Live Interview we did with Change Management Expert Peter de Jager. Please do connect in with Peter on pdejager@technobility.com if you want to learn more! We're planning episodes for 2019. If you'd like to get involved, please reach out to rodonohue@pmi-ireland.org for more details.